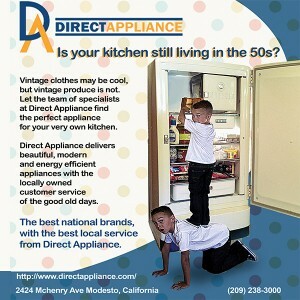 All Funds Raised Will Benefit Boys & Girls Clubs of Stanislaus County. Modesto, CA – December 17, 2018. 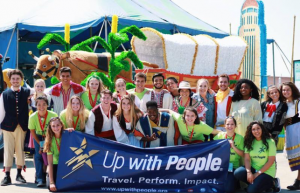 Up with People is coming to Modesto from March 18 – 25, 2019 to support Boys and Girls Clubs of Stanislaus County (BGCStan). Up with People’s mission is building a more hopeful, trusting and peaceful world by empowering young people to be positive agents of change through action and the international and powerful language of music. Participants from 20 countries are traveling to Modesto for a week of community service and cultural exchange culminating with a professionally produced performance at the Gallo Center for the Arts on March 22nd at 7pm. Tickets are available now at www.GalloArts.org. 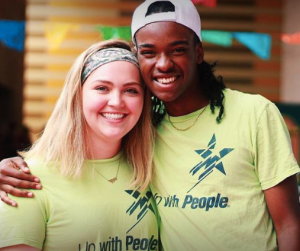 Up with People is known worldwide for bridging cultural gaps and participating in international relations and education. Their blend of music and social action creates the chance for youth to develop a new understanding of the world, recognize the responsibility they have to others, and become global citizens by acting as positive agents of change. Go to www.UpwithPeople.org for more information. Through the generosity of Presenting Sponsor, Fuzio Universal Bistro, 100% of the proceeds raised will benefit Boys and Girls Clubs of Stanislaus County. The Boys & Girls Clubs of Stanislaus County is an after-school enrichment program that has served local youth since 2013 with four Clubs in Modesto. The Clubs provides a safe and nurturing environment for kids ages 6-18 to learn and have fun. Members participate in activities like sports, technology, art, dance and science. Our programs have an impact. Nearly 90% of Club members graduate from high school and approximately 80% go on to attend college. To learn more about the Boys & Girls Clubs of Stanislaus County visit www.BGCStan.org. For Up with People sponsorship opportunities contact Lori Richards at lrichards@bgcstan.org or Kenni Friedman at kenni.friedman@gmail.com. For media inquiries contact Veronica Jacuinde at (209) 222-5826 ext. 89 or vjacuinde@bgcstan.org.